he hostilities of the Thirty Years War1 (1618-1648) and the famines and plagues caused thereby devastated and depo-pulated whole areas. In southern Germany only a third of the population survived. 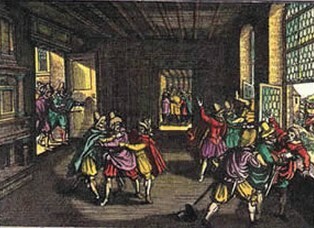 After the 30-Years War (1618 -1648) a large immigration movement arose. The promises of free uncultivated soil and freedom from taxes, for several years, attracted new colonists. Immigrant workers from overpopulated Switzerland (first of all, from the areas of Zurich and Bern, followed by Schaffhausen, Aargau, Thurgau, Graubünden, St. Gallen, Basel and Appenzell) and from Vorarlberg relocated in the destroyed and almost deserted areas of southwest Germany, specifically in the Kraichgau2, where they helped in the reconstruction of the devastated country. 2 Thirty years war = Collective term for the European religion vs. State conflict which arose from the confessional contrast in the Holy Roman Empire of the German nation, and the contrast between the Habsburg monarchy and estates was fought on German soil from 1618 to 1648. Therefore, in the 17th and 18th centuries, one spoke also of the 'Teutsche' (German) war to characterize the area which suffered millions of deaths, devastation and barbarism. Recent history suggests it was a European war because in many of the countries power, religion and economic problems exploded violently. There were wars in the Netherlands, between Poland and Sweden, Sweden and Denmark, France and Spain. Due to the economic and social devastation, some territories affected by the war required more than a century to recover from the consequences. 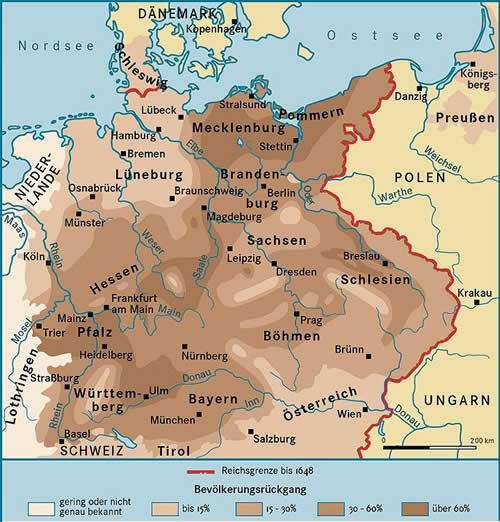 3 Kraichgau = The north of the Kraichgau belonged to the Palatinate, some communities of the West belonged to the Hochstift (bishopric) of Speyer, the South West belonged to the Margraviate of Baden-Durlach and the South East to the Duchy of Württemberg.